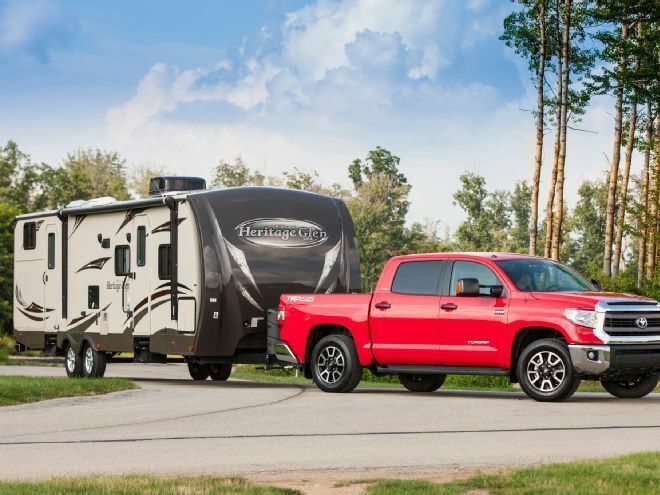 Towing a camper, a trailer or anything else behind your vehicle requires serious care and consideration; otherwise, a simple mission can quickly become a far more dangerous situation. The only smart way to tow is by taking a safety first approach and here we will look at a few of the basics to consider. Consult your vehicle owner’s manual, find out how much weight your vehicle was designed to safely handle and stick within these limits, because overloading your vehicle can risk damaging your ride and endanger you, your passengers and other motorists. To ensure that you are on the right side of those crucial cut-off points, weigh each item as you load it in your trailer and double check your weights before you head off by visiting your local weigh station. Controlling a trailer is hard enough without items moving around back there, so make sure that anything that could possibly come loose on route is tied down and secured before you hit the road. Apart from ensuring that your load is balanced, stable and therefore easier to control, securing your precious cargo will reduce the chance of anything being damaged along the way. Every maneuver is a little slower and slightly more awkward when you have a large and heavy object attached to the back of your vehicle, but you can save yourself some stress and hassle by planning your trip to avoid rush hour traffic. Dealing with fewer other vehicles on the roads will mean you won’t feel pressured to drive faster than is safe to do so and you will also be less likely to cause congestion. Towing a trailer requires your full concentration and therefore breaking up your trip into smaller sections will ensure that you are sharp and focused for every second you spend behind the wheel. Regular breaks also provide an important opportunity to check that all those vital towing components are attached and in order, such as your chains, lights and indicators. If you are new to towing spend some time getting the hang of it before you take on a trip of any length. Head to a quiet, empty parking lot in your local area and drive around until you have a feel for the reduced visibility, heavy weight and tricky angles that come with towing a trailer. Practice your reverse parking skills with the trailer attached as well, as this may save you some time, stress and embarrassment during your trip. If you are searching for a quality vehicle for your towing missions this year head to Sargent Toyota. Our range of new and used Toyota’s is among the best in Western Canada and our team of experts are experienced, knowledgeable and will go the extra mile to ensure that you find the vehicle that is right for you. We even offer a range of flexible financing options that make getting into your next Toyota easy, so drop by and see us today here at 10625 117 Ave Grande Prairie.